Product prices and availability are accurate as of 2019-04-19 06:44:07 EDT and are subject to change. Any price and availability information displayed on http://www.amazon.com/ at the time of purchase will apply to the purchase of this product. 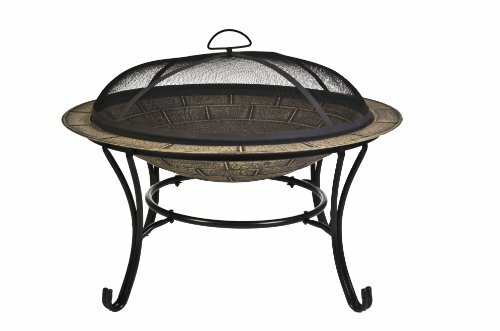 Add a warm, welcoming fire to your patio or garden with the CobraCo Round Cast Iron Brick Finish Fire Bowl with Screen and Cover. This fire pit features a brick textured bowl atop four elegant scrolled metal legs. An included screen cover keeps embers and ash from spreading to flammable surfaces, while leaving the heat of the flames free to circulate. The heavy steel construction of both the bowl and the frame are finished for superior rust resistance and durability, and will make an attractive deck display for many years. 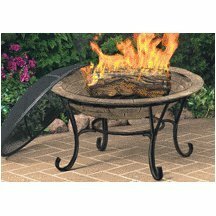 A vinyl cover is also included to help protect your fire pit in harsh weather conditions. 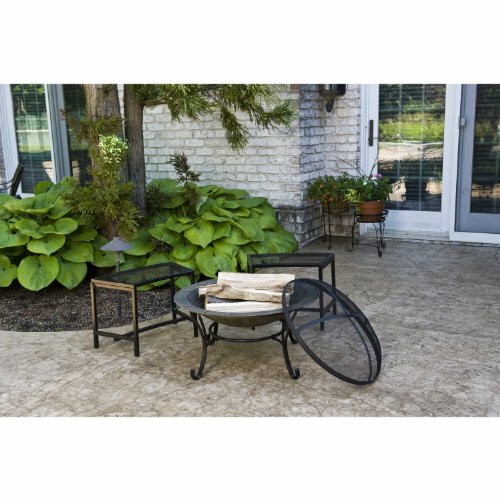 Bring a fire to your outdoor gathering with the Brick Finish Fire Pit with Screen & Cover. Assembly required.